bio.inspecta supports farms as well as retailers/traders and processors in their sustainable development and in strengthening their market position. bio.inspecta safeguards the credibility of organic products. 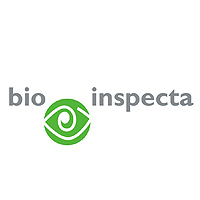 bio.inspecta inspects and certifies more than 1800 retailers/traders and processors of organic products and other label products as well as more than 5300 agricultural holdings in Switzerland. Internationally, we assess some 3800 producers and 150 processors and retailers/traders. Our service portfolio includes accredited product certification for organic and other labels, ISO standards and food safety standards. bio.inspecta sets benchmarks for innovation and progress. As a result of our cooperation with national and international partner organizations, our customers can avail of a comprehensive range of services, all from one source. Product quality assurance is the focus of our day-to-day operations, both in Switzerland and in the international marketplace. Every day, 50 staff are at the service of our clients at our headquarters in Frick (Canton of Aargau, Switzerland). In addition, some 100 freelance staff work on your behalf around the globe.